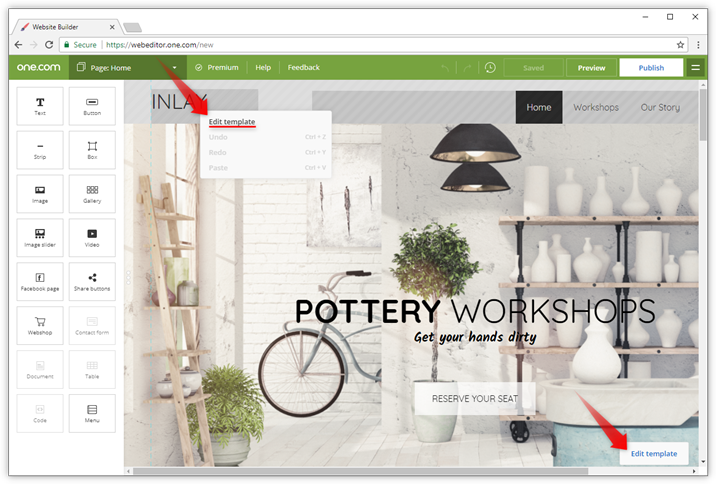 In this article, we have listed the areas where you may notice differences, compared to the old version of Website Builder. Don't hesitate to contact our support, if you cannot find your answer here. Where can I find the properties? How do I switch to the template? Where is the background component? How do I delete a component? How do I move a component to the back or front? Where can I edit the global styling? How can I make the workspace bigger? You can find your pages in the Pages menu at top of your screen. 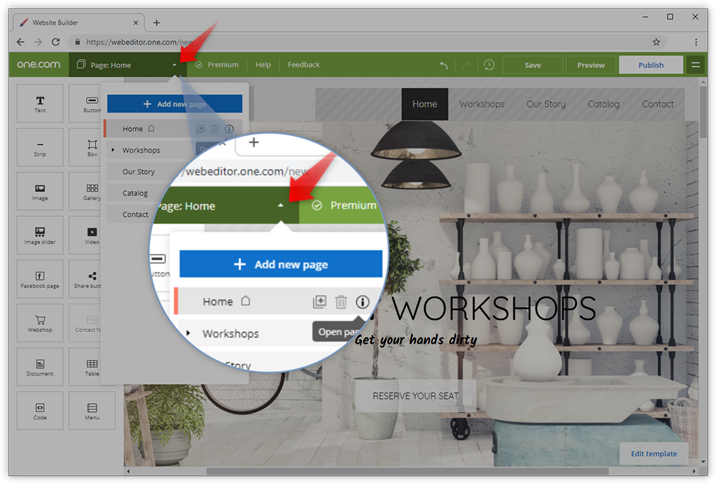 Here you can switch the active page you are working on, add new pages and manage existing pages, just like in the old Website Builder. To create a larger workspace we have removed the properties tab. You can now find the properties of a component by double-clicking on it. Depending on the component, different properties are available. 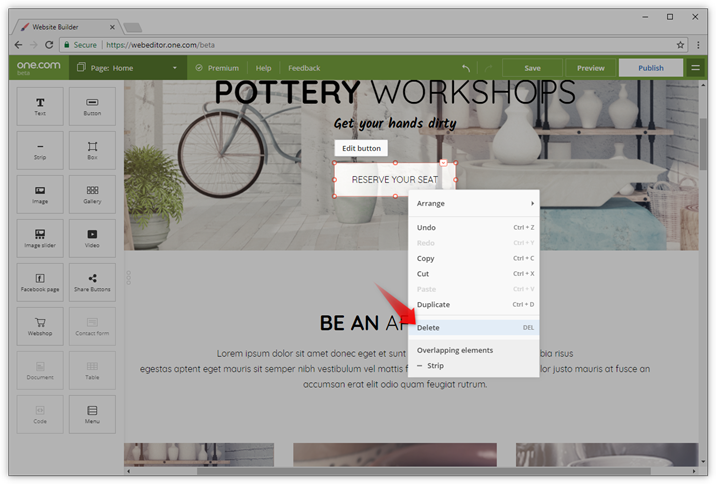 A toolbar appears above or below the component and also a separate menu that you can move around your screen. The template of your website contains the components that are visible on all pages, like for example the menu, social media links or the footer. 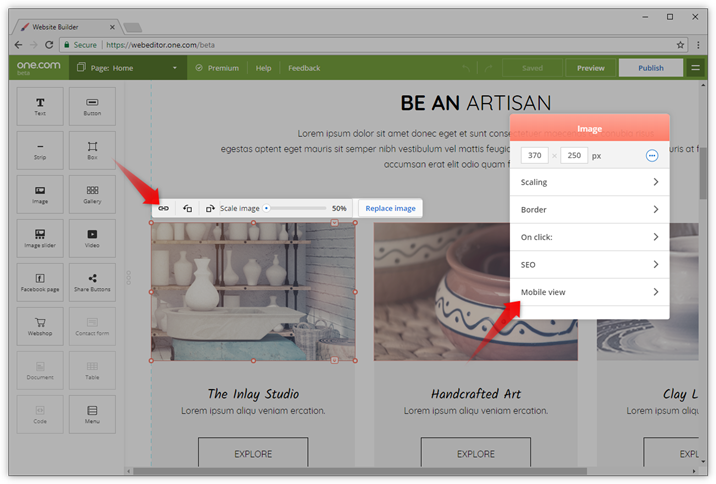 There are three ways that you can switch to the template editing mode. 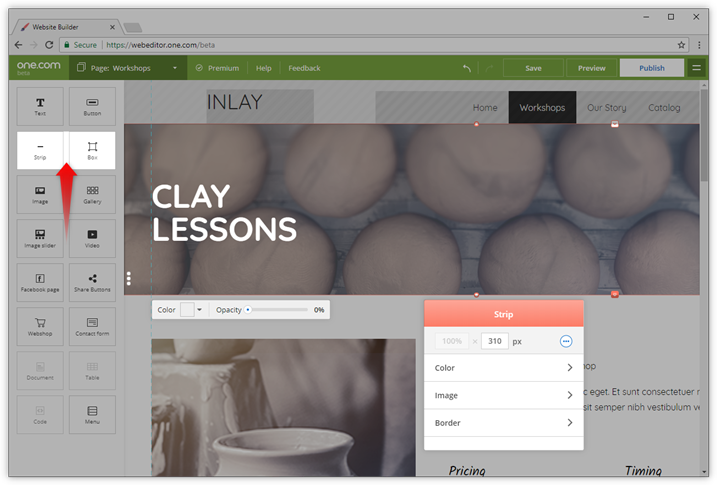 Double-click on a shaded component that is part of the template. Right-click on a shaded component and click Edit template in the menu that appears. Click the Edit template button in the bottom right corner. The Background component has been replaced with the Strip and the Box component. The Strip component creates a background over the whole width of your site; you can adjust the height, but not the width. 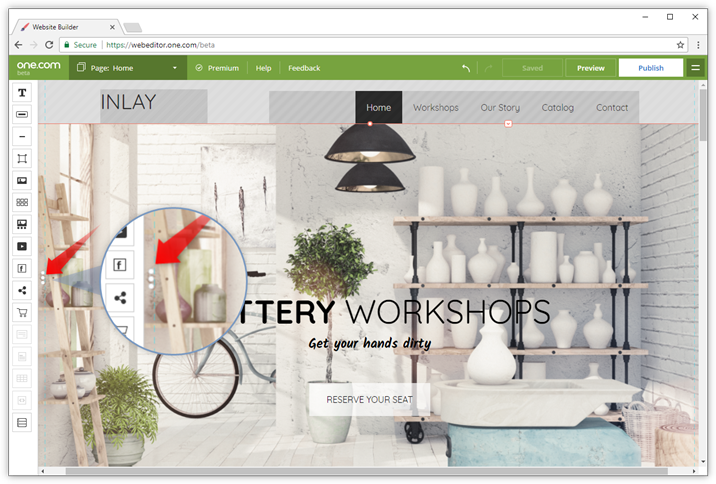 Under Properties, you can adjust colour, opacity, image and border. The Box component is the same as the background component, except that you cannot stretch it over the whole page. Under Properties, you can adjust colour, opacity, image and border. Select the component and then click Delete or Backspace on your keyboard. Right-click on the component you want to delete and select Delete in the menu that appears. You can move components backwards and forwards or send them to the template or page. Right-click on the component that you want to move. Click Arrange in the menu that appears. Select what you want to do with the component. Global styling is now called Template styles. 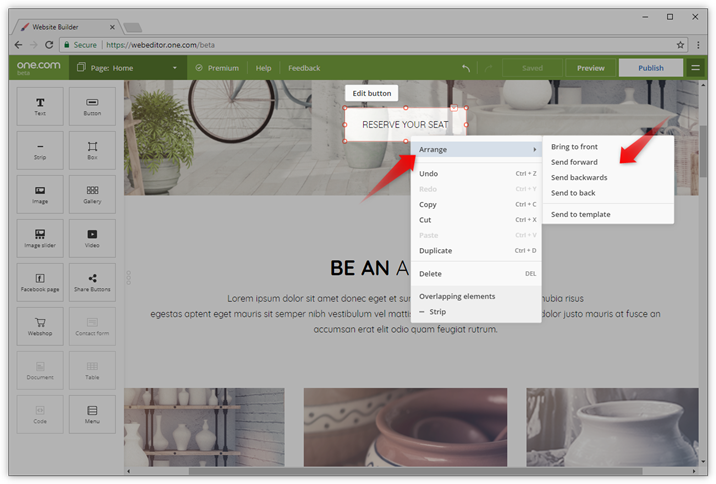 You can create and edit template styles for text, links, menu's, buttons and tables. Use your mouse to right-click in your workspace. In the menu that appears, select Template settings. Click Edit template styles at the bottom of the floating menu. 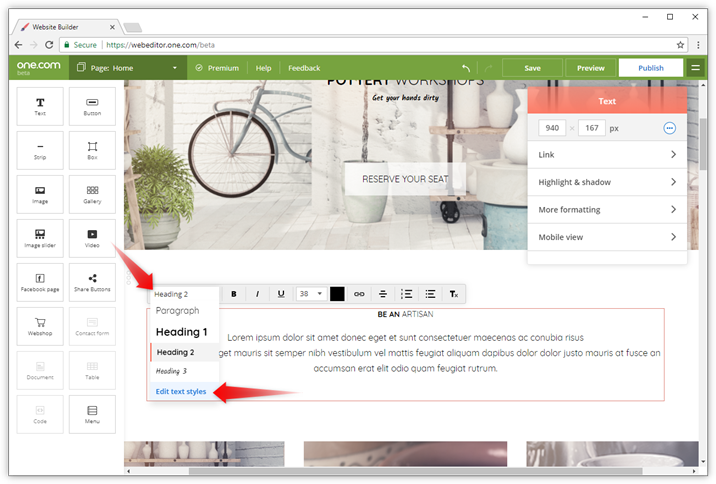 A new feature in Website Builder is that you can collapse the component menu to the left of your screen. This gives you more space to work in, with less clutter. Click the three white dots next to the menu to collapse or expand it. 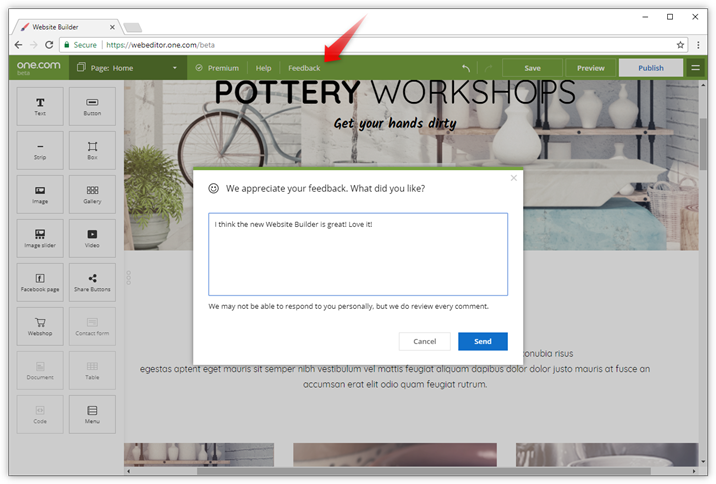 You can report your findings directly to our product team, from Website Builder. We may not respond to everyone personally, but we appreciate every comment. Click Feedback in the green bar at the top of your screen. Select if you want to share something you like, or if there is something we can do better. Type in your comments and click Send. Are you looking for support? If you need help or have questions, please contact our support department.